This article was originally published by The Conversation and is reproduced here with permission. Some, but not all, immigrant families have been reunited after a court gave the U.S. government a deadline to reverse its separation of children from adults at the U.S.-Mexico border. Those separations happened between May and June. President Donald Trump signed an executive order on June 20 to end immigrant family separations. Now, the government has failed to meet the court’s July 26 deadline for reunification of all eligible families. I’ve been writing about the impact of the U.S. government’s immigration policies on undocumented families for years, and I believe that for the families that remain separated, the likelihood of reunification may grow remote. Hundreds of children remain apart from their parents after being separated at the U.S.-Mexico border. The exact numbers of children who are still separated from their families are difficult to nail down. On July 23, a government representative reported that 1,012 parents had been reunited with their children out of approximately 1,637 who were deemed eligible. The government has deemed some parents ineligible for reunification because they are currently in criminal custody, have criminal records or suffer from communicable diseases. Others cannot be located. However, the ACLU reported on July 23 that at least 917 parents remained separated from their children. More than half of these parents, 463, have already been deported. Even for those who have been reunited, the relief has been brief. Many parents still face deportation orders and must make the decision of whether to be deported with or without their children. When immigrant children are separated from their parents or guardians, the two enter very different legal tracks. In most cases, the parents will remain in detention centers until their cases are heard by immigration judges, at which point they will face immediate deportation. Many of the facilities receiving these children, such as Cayuga Centers in New York, had already been caring for immigrant children for years. In 2014, the government awarded Cayuga Centers $92.5 million to fund shelter services for unaccompanied minor children. As a result, the organization was equipped to provide long-term care for hundreds of recently separated immigrant children. Once in foster care, these children become wards of the state. This means they will have their care and custody decisions handled by state welfare agencies and then by a state court. During these proceedings the children’s parents will have the opportunity to demonstrate their eligibility for reunification but sadly, undocumented parents have often fared badly in such proceedings and this is especially true as the length of separation increases. Immigrant parents have the same legal right to the care and custody of their children as American citizens. Immigrant parents should be granted reunification with their children as long as they are deemed fit. However, history shows courts frequently use a parent’s immigration status as a proxy for fitness. State court decisions are also highly influenced by the parents’ residency in a country with high rates of violence and the child’s opportunity for adoption in the United States. 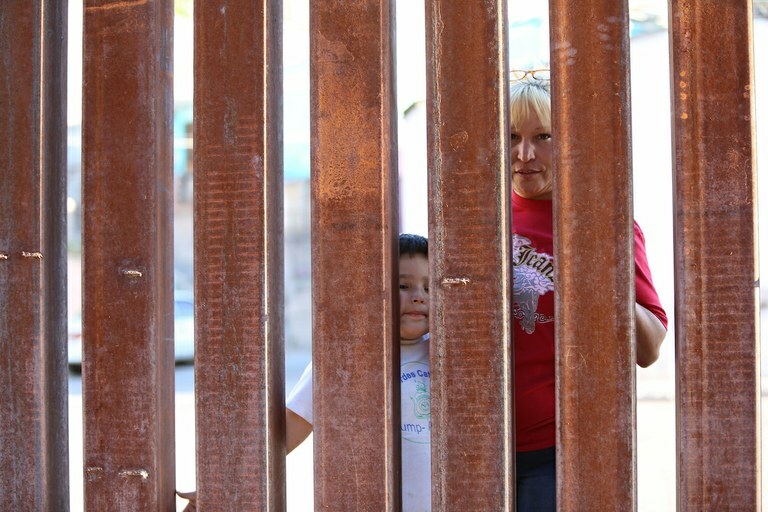 State courts and welfare agencies have frequently considered a parent’s undocumented status and their willingness to cross the border illegally as proof of parental unfitness sufficient to terminate parental rights. The father challenged this decision. He argued his failure to maintain contact with his children was due to his incarceration and deportation, and was therefore not willful. However, the court found this explanation irrelevant. A final issue is the efforts of third parties to gain custody of the removed children. The longer the children remain in foster care, the more likely it is that attachments will grow. Many of these foster families will seek to adopt these children. In the past, courts, faced with the prospect of returning children to foreign countries versus allowing them to stay in America with an adoptive family, have often chosen the latter. They decide that to go home under such conditions is not in the children’s best interest. This, in the eyes of the court, justifies terminating their biological parents’ parental rights. I believe it’s likely today’s separated families will have the same difficulties regaining custody. The policies the Trump administration is enforcing are for the most part similar to those first enacted under President Barack Obama. In 2014, during a surge in illegal border crossings, the Obama administration attempted to detain hundreds of families indefinitely.